Resilience—the ability to recover or "bounce back" from problems, hurt, or loss—is critical for social and emotional health and helps people feel happy, capable, and in charge of their lives. Foster perseverance, patience, and resilience in children with this unique, encouraging book. Young children learn thought processes and actions that are positive, realistic, and helpful for bouncing back. The book also helps children recognize people who can support them in times of difficulty. 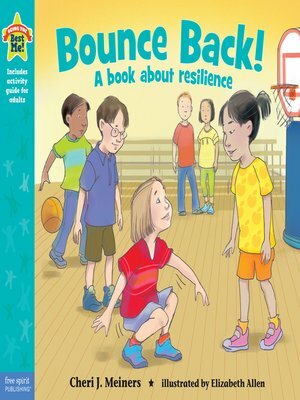 Back matter includes advice for raising resilient children and fostering resiliency at school and in childcare.